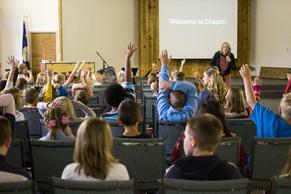 Chapel is an important part of campus life at Valley Christian School. 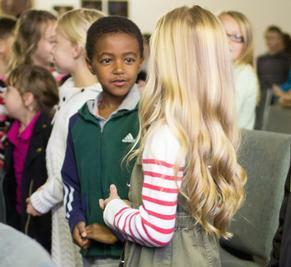 Students are required to attend chapel and are expected to come desiring God to minister to them. The goal of Chapel is to teach the Word of God in such a way that our students can apply it to their lives. If there is anything we desire and pray for, it is that our students would have a strong, personal relationship with Jesus Christ. In Chapel, we want Christianity and the Bible to come alive in the lives of our students. Our prayer is that our students will be receptive to God’s message.